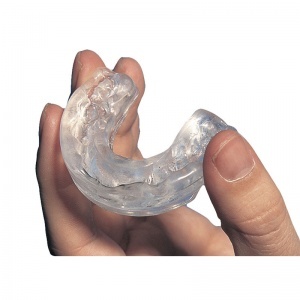 The Therasnore Stop Snoring Mouth Guard is one of the leading anti-snoring devices available on the market today. The Therasnore Stop Snoring Mouth Guard is one of the most effective treatments to help stop snoring and for sleep apnoea. The Therasnore is fully adjustable and has 5 settings for a comfortable and secure fit. How Does the Therasnore work? 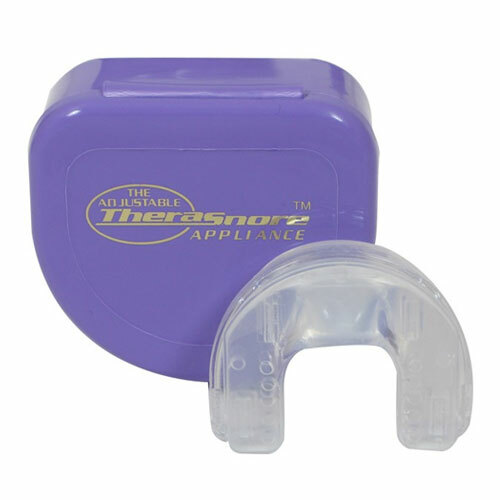 The TheraSnore Stop Snoring Mouth Guard is a clinically proven way to help stop loud snoring and mild to moderate sleep apnoea. The Therasnore Mouth Guard prevents the lower teeth and jaw from falling back during sleep giving the user a deep, restful and peaceful night's sleep. The Therasnore is a soft, small appliance that is simple and easy to fit. Simply heat the appliance once, mould it to the upper teeth, position your lower teeth in comfortably and that's it - you're ready to have a soundless night's sleep. Who Can Use the TheraSnore Mouth Guard?